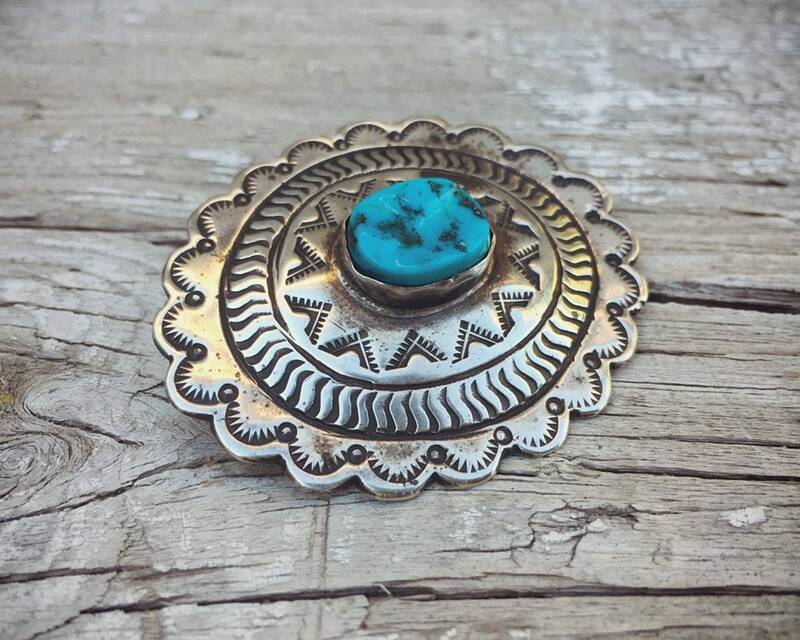 This vintage brooch or pin is made of a fairly heavy sterling silver concho that is all hand stamped and in the center a piece of natural turquoise with black matrix. 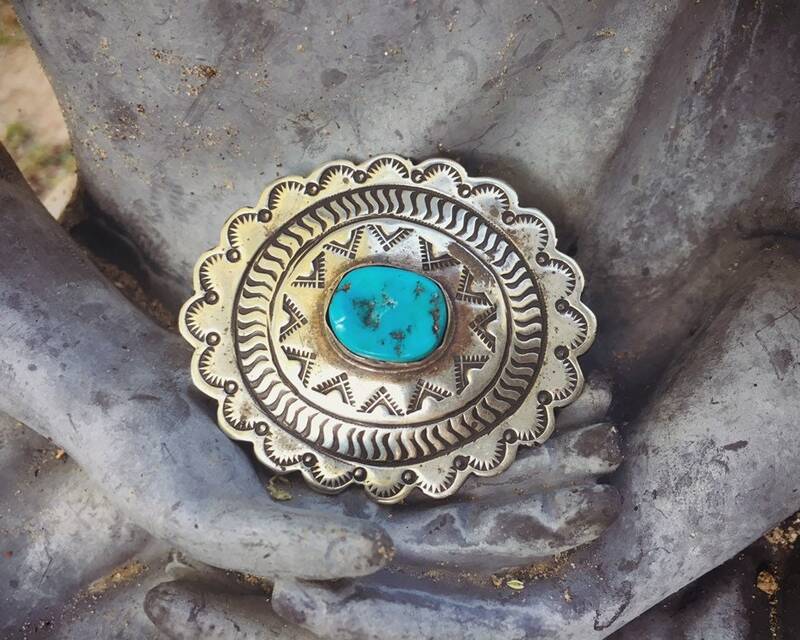 The brooch carries a hallmark, which we believe is Navajo, and a STERLING stamp. 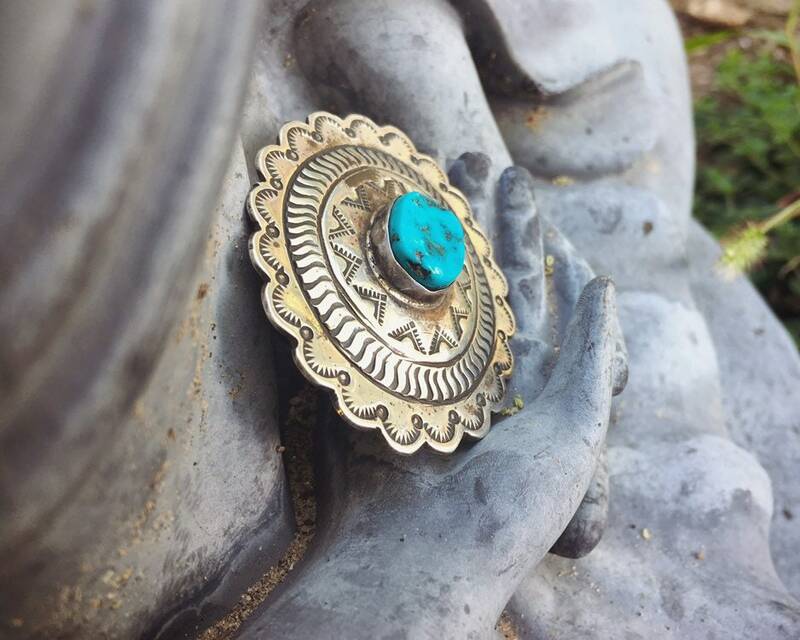 It is from the days when women wore pins to hold scarves in place, or to adorn a beautiful jacket or blouse. 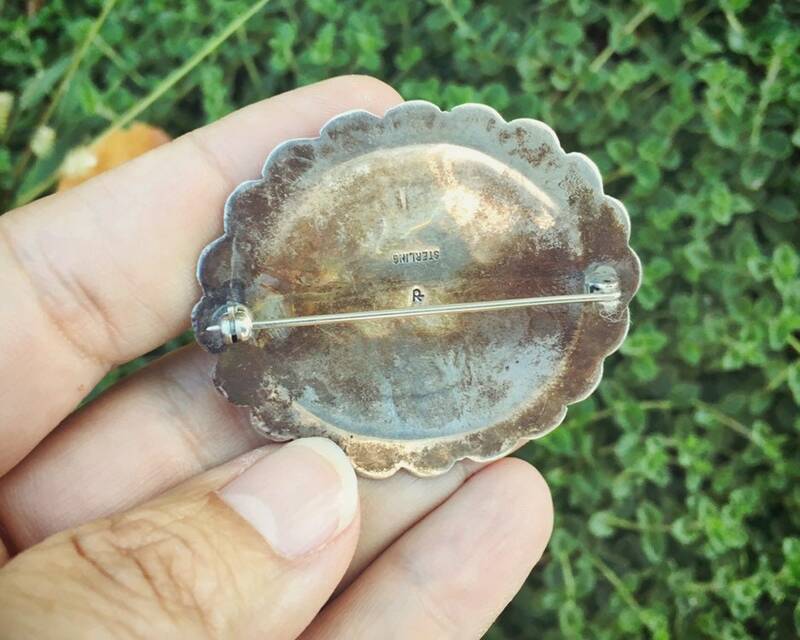 Pins are making a comeback as a unique way to express one's love of beauty. 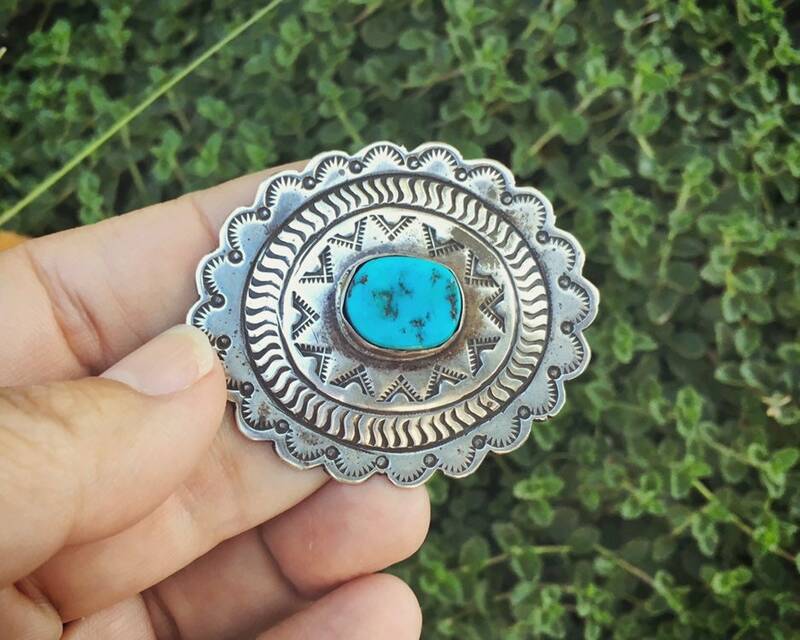 The turquoise is not only exactly that color we think of when we see the word "turquoise," it is also all hand shaped with interesting texturing on the surface. An old-fashioned piece, perfect for an old soul. Can be worn horizontally or vertically. Measures 2" wide by just under 1-1/4" tall. The silver carries a lovely patina. Beautiful piece of a vanishing history.